Julia Berenice was born into the Herodian royal family in the late 20s C.E. Her father, Judean client-king Herod Agrippa I, often went by Agrippa and was himself educated in Rome alongside the Julio-Claudian heirs. He stuck it out in the Eternal City until Tiberius’s death in 37 C.E. Julia Berenice was most likely born in Rome, where she would have hobnobbed with the young imperials. Judaic studies scholar Ross Kraemer suggests that she would have learned multiple languages—from Latin, the language of empire, to her own people’s Aramaic and Hebrew—in a diverse education preparing her for making alliances with other prominent Jews. In this painting by Russian artist Vasily Surikov dated to 1875, the Apostle Paul speaks before King Agrippa II, his sister Julia Berenice, and the proconsul Festus. At a young age, Julia Berenice was wed to Alexandrian Jew Marcus Julius Alexander. 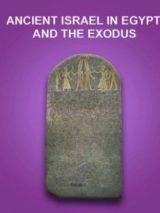 Nephew of famed writer Philo, Alexander was the son of an alabarch, which, according to Josephus, meant his clan controlled most trade heading in and out of Alexandria (and any cash they could skim in the process). Upon Alexander’s premature death, Agrippa shored up his family ties by wedding his daughter to his brother, Herod. This title went beyond an honorific. As Grace McCurdy notes in a 1935 article, in Attica, a statue of Berenice was set up, and the Greek inscription therein dubbed her basilissa, or “queen,” a title that had carried connotations of powerful consorts—and occasional queens regnant—since the Hellenistic period. During the heights of regal agency in centuries gone past, such queens utilized the female version of their husbands’ title of basileus, or king,” on official coinage. Thus, this inscription placed her in an elite category of ruling women. As classicist Michael Vasta noted in his insightful essay “Titus and the Queen,” basilissa put Berenice in the same category as formidable female monarchs of yore, like Cleopatra VII. Similarly, in his Life of Titus, Tacitus refers to Berenice by the Latin word for queen—regina—a title she also bears on a dedicatory inscription now in Beirut. McCurdy’s article noted that she was unique among Herodian women, alone among whom she was accorded the title regina. Berenice bore Herod of Chalcis two sons: one named after herself—Berenicianus—and the other had a traditional Hasmonean moniker, Hyrcanus. 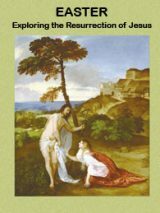 After the death of Herod of Chalcis, Josephus gossiped, “The report went that she had criminal conversation with her brother,” meaning rumors of an incestuous affair spread like the plague. In order to dispel the gossip, Berenice snared herself another royal husband: Polemo, king of Cilicia in Turkey. Her wealth and power persuaded him to convert to Judaism and circumcise himself as a full adult. But she soon left Polemo for her own brother, according to contemporary scandal, and Polemo reverted back to his own faith. Interestingly, rumors of her relationship with her brother is reminiscent of Hellenistic monarchs, but there’s no evidence that this was much more than scurrilous gossip. Berenice then headed back to Judea to rule alongside Agrippa II, where they both sat in on a trial of the Apostle Paul in Caesarea. When she saw the havoc the Roman soldiers were wreaking in Jerusalem, she sent her retainers to plead with the procurator Florus, asking him to ease up. Beseeching divine intervention for her people, Berenice swore a vow “which she had made to God,” according to Josephus. After boycotting alcohol and sacrificing at the Temple, as well as shaving her head, she stood barefoot before Florus, pleading with him again. Florus denied her and Berenice herself just barely escaped assault from his soldiers. 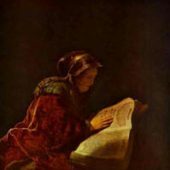 In Josephus and Judaean Politics, ancient historian Seth Schwartz notes the incongruity of Josephus’s portrayal of Berenice as a devout Jew and as an incestuous deviant. Their common education and shared interests trumped their differences, as well as their age gap; Berenice was nearly a dozen years Titus’s senior. The two carried on a passionate affair for three years in Judea, until Titus finally incinerated Jerusalem in 70 C.E. He went home to Rome the following year—by then, Vespasian was already named emperor. In 75, Berenice and Agrippa II followed. 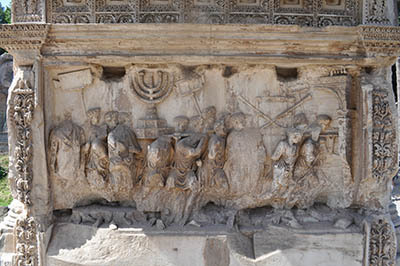 Relief from the Arch of Titus depicting Roman soldiers carrying the menorah, the showbread table, and trumpets from the Temple in Jerusalem. Photo: Courtesy of Steven Fine, the Arch of Titus Project. In order to ensure his place in the succession, as Tacitus says, “Berenice he sent from Rome at once, against her will and against his own.” Berenice presumably returned to Judea, and it wasn’t for another century that a Roman emperor could marry a woman from the eastern portion of the empire without a kerfuffle. Carly Silver is a public historian, writer, and editor based in Brooklyn, New York. The former ancient and classical history expert for About.com, she has contributed to publications including Smithsonian, Atlas Obscura, History Today, Narratively, and The Atlantic, among many others. Find more of her work at CarlySilver.com. The novel Agrippa’s Daughter by Howard Fast is about Queen Berenice.